Most parking facilities are eyesores, designed with function in mind without paying heed to context or aesthetics. 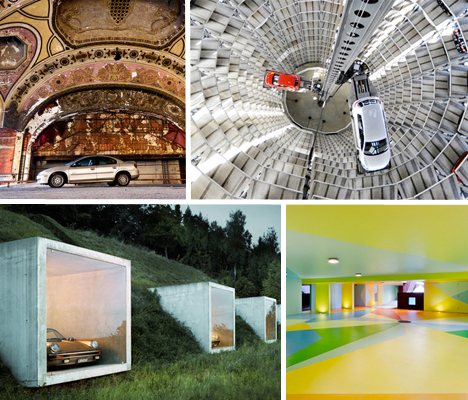 But in some cases, parking garages can be so innovative, high-tech, bright and – yes – even beautiful, that they’re notable works of architecture in and of themselves. Built in 1926 alongside the connected 13-story Michigan Building office tower, the 4,000-seat Michigan Theater was once the jewel of Detroit, described as the world’s finest theater. But by the mid-1960s, it closed, partially due to a lack of parking – ironic, given its ultimate usage. 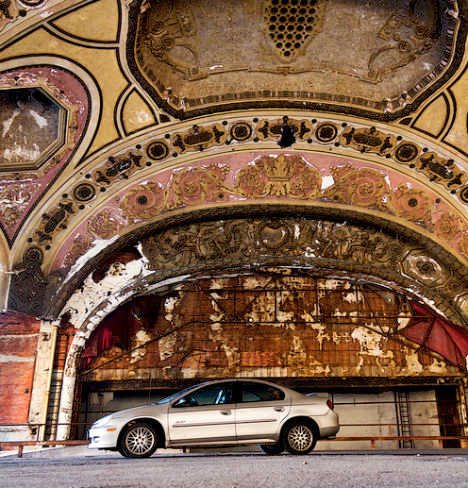 The theater has continued to decay, but its beautiful shell remains intact as a three-level, 160-space parking deck. This light-filled parking garage totally gets rid of that creepy enclosed feeling that many of these structures can foster. 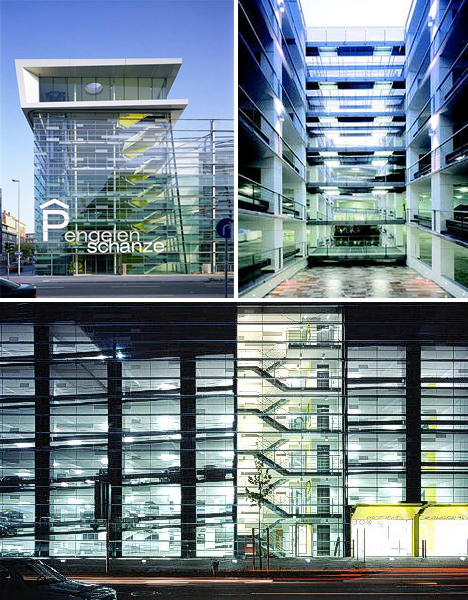 The Parkhaus Engelenschanze features an all-glass exterior, and its inner courtyard even has a waterfall, a creek and curtains made of reclaimed glass. 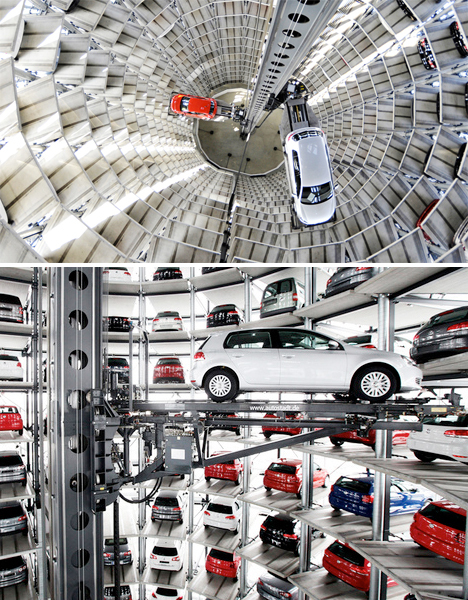 Two towering silos are used to store vehicles at Volkswagen’s production facility and Autostadt visitor attraction in Germany. Reaching 48 meters (157 feet) into the air, the towers contain up to eight hundred cars lifted into position by rotating mechanical arms. 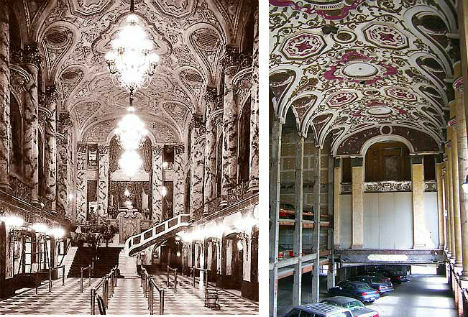 You might not expect a parking garage to be among a city’s most impressive architecture, but in Miami’s case, the Ballet Valet really does stand out. 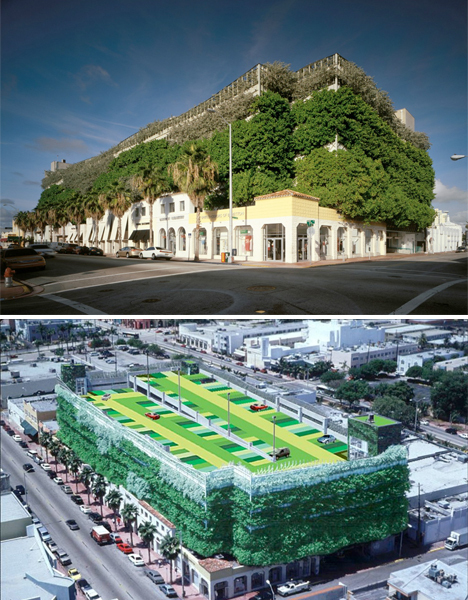 Completed in 1996 by Arquitectona, the garage in Miami’s Art Deco district is covered in grid-patterned fiberglass that serves as a terrace for climbing greenery. 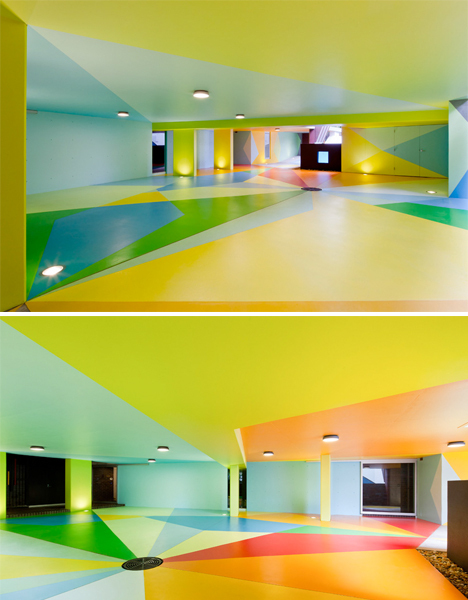 The garage sparked a trend in the city for well-designed parking facilities.